It's no secret that I have problems plotting a novel out. I attributed this to being the kind of writer who usually thinks in characters rather than story events. Well, frankly, I'm tired of stalling on my projects/being a slow writer/not getting how to plot/or how to pace out a plot. I mean, it's weird. I recognize a plot when I'm reading. I can see the steps the story takes as the tension builds toward the climax. I've just always had a hard time replicating your basic plotting pyramid thing in a longer piece of writing (over 30, 000 words). I'm horrible at mathematics and I'm not strategically-brained; to some extent, plotting a novel and pacing it well is organization, applying a formula, a pattern, strategizing how and where things will happen. For some reason, I feel like I flail around a lot while trying to plot. Plot: definiton: the events that happen in your story. 5 Things About "Haunted Lake"
"Haunted Lake" is the title of my paranormal short story in the anthology FULL DARK, now available on Amazon and B&N. Haunted Lake is also a real place--and the region around it is real as well. I don't think it's haunted in real life, though. At least it wasn't the one time I've been there. 1. Haunted Lake is a lake in Francestown, New Hampshire. Real name: Scobie Pond. This is what Haunted Lake looks like. 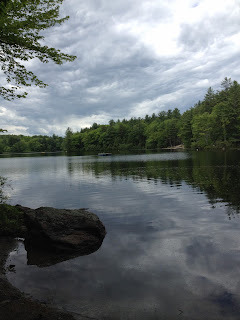 Apparently, there's another Haunted Lake in Londonderry, New Hampshire, which is nearby. It's a beautiful place and it is not creepy at all. It's natural beauty. But being a city kid, I generally associate rural countryside with creepiness. 2. There has to be a reason why a lake is known as "Haunted Lake," no? I quizzed my college roommmate and her sister (who grew up along the shores of said lake) about how and why it might've gotten its name. There were a few stories; some of them ended up in a mish-mash in my story. 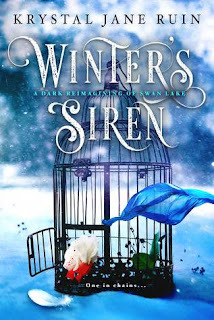 Winter's Siren by Krystal Jane Ruin! Book Blitz! EXCERPT: Frosty air nips at my nose. I stand almost knee deep in fresh fallen snow, letting the diffused sunlight hit my face. There is no sound. Peace settles over me. In this moment, I truly feel like I’m in the middle of nowhere. It's Wednesday, November 1st and it's time for IWSG! 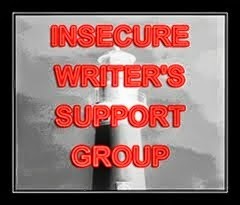 The IWSG is a large network and we post our writerly insecurities on the first Wednesday of every month. I've had a busy last week or so. One: I am a contributor to FULL DARK: An Anthology, available now on Amazon and B&N. It's an anthology of dark short stories, benefitting the Gary Sinise Foundation, which has a bevy of programs and initiatives supporting first responders and active and former military. With everything going in the world--including the truck incident in Manhattan yesterday afternoon, which killed 8 people--I'm fine, everyone I know is fine, New York City is fine (we're a hardy bunch)--it's important to remember all the people who do so much to keep the rest of us safe. My short story is "Haunted Lake." There will be a blog post with some background on the story up in a few days.